Advice – well meaning or interfering? I’m sure we’ve all seen that formula advert. You know… the one with the different groups of parents having a dig at each other and then all coming together at the end. It’s a good advert and it does highlight the fact that there are so many different ways to raise your children. It also shows how critical we can be as parents. 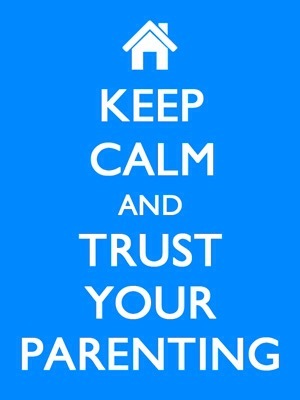 Why is it that as soon as you have a child everyone feels the need to comment on your parenting style? Some people are obviously well intentioned and just want to impart little tips that worked for them. I had a lovely old lady stop me in the street, as baby boy was trying to make himself heard in the next town, and tell me what a cute cry baby boy had. She told me that even though people didn’t agree with them now she saw nothing wrong with a dummy. I told her that I fully agreed and if baby boy hadn’t just launched his I would be giving it to him. We spent a good 5 minutes talking about how dummies are demonised these days! I wanted to take her home and adopt her as an extra grandparent. Other people however are just down right rude! When carrying baby boy in the wrap I get a few comments telling me how uncomfy it looks for baby boy. Now I might listen if he wasn’t usually fast asleep when they say it. I don’t know a baby who would fall asleep if they were uncomfortable. Baby boy certainly lets me know when he is unhappy. I obviously love my son and I parent him as I feel is best, so some comments I get just wind me up a bit. Don’t carry him all the time, you’ll make him mard! Leave him to cry or he’ll never learn! Don’t let him into your bed, he’ll never sleep on his own! I don’t know about you but I know not a single adult who still shares their parent’s bed. I appreciate advice, I really do but sometimes I just wish that people would think before they speak. I really hope that I am not guilty of giving unwanted advice. In fact, anyone who knows me, if I ever do this please remind me of this little rant and ignore me whilst I hang my head in shame. Parenting is hard and as parents we should stick together and support not make digs at each other’s attempts. I often tell baby boy to play nicely – maybe we should do the same! How do you feel about unwanted advice? Yep – folks can give their advice, but that’s all it is. Any advice is only true if it’s true for YOU, and if you think it’s a bunch of unusable, unworkable bunk that has no applicability to your children, you’re always free to treat it as such. Very true. I think i need to adopt the smile, nod and ignore strategy. I get it! I still can’t stand when people tell me I have my hands full. Most will give me a look of pity and while I don’t truly think the intentions were negative, it just gets on my nerves. I think the same thing goes with parenting advice, the intentions are god but it still bugs the crap out of you! It definitely bugs you! I don’t mind the odd comment here and there but when it is constant it really annoys me. I agree. Whenever people tell me their woes of parenting I always say” don’t ask me for advise because mine didn’t sleep through the night til they were 3, I cook 4 different dinners every night, they all slept with me and although I didn’t make the same mistakes as my nit very good old mum I just make different ones” . I agree that some people are just trying to help and I always welcomed people’s tips and things they have tried but it is it is It always what you say but how you say it. I am definitely not one to ask for advice. I followed everyone’s advice to start with because they had already done it and so must have known better than me. Eventually I gave up and just did it my way. Seems to be going ok so far!